Pure Offices is a company that specializes in developing and renting small enterprise office space. We were commissioned shortly after the formation of the new company to develop a standardized design for new enterprise offices. The first of these was built in Swindon in 2007. 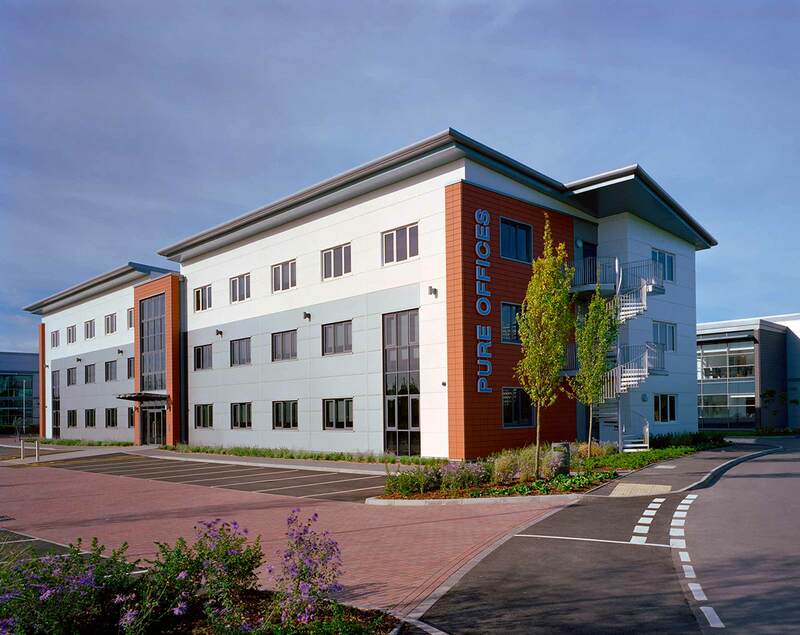 We have subsequently been responsible for the design and development offices at Cheltenham, Leamington, Oldbury, Warwick and Weston-super-mare.